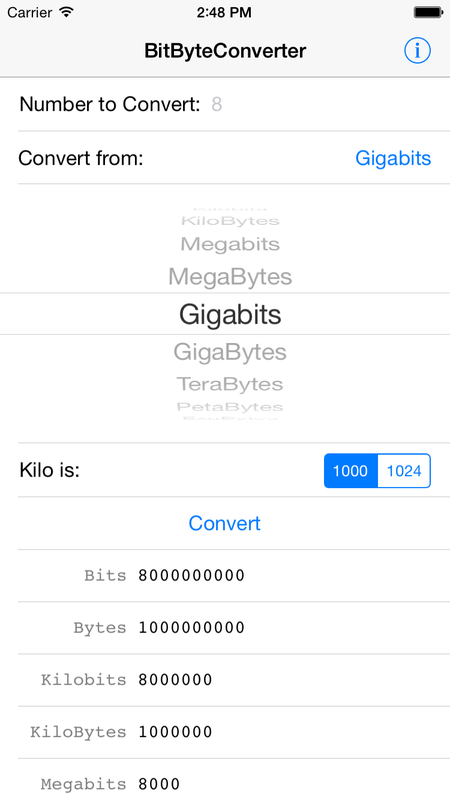 An app for iPhones, iPads and iPod touch to convert unit of data starting from a bit to ZettaByte or ZebiByte and vice versa. If you have any questions, suggestions, bug report, please send mail to muquit@muquit.com. The app is free. The following table shows the relationship between various data units the app supports. For measuring data transfer rate (network speed etc. ), 1000 is used as kilo. Disk vendors tend to use 1000 as kilo to describe disk capacity. For addressing memory, computer always uses 1024 as basis of kilo. This is a topic of much discussion, please look at Binary prefix in wikipedia for more info. Font size of the output. 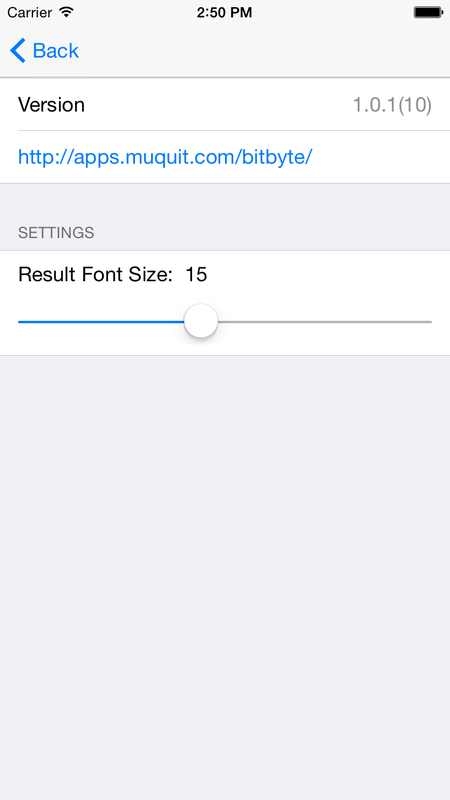 Change the font size by sliding the slider knob. If the font size is changed to something other than the last saved value, a button Save Settings will appear at the upper right corner. If the setting is saved, and Back button is pressed, the font size will be applied immediately to the displayed result. Inkscape icon template from Kodira.